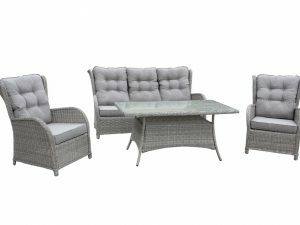 With a traditional yet sophisticated aesthetic, the Mallorca Set will make a stunning nordic addition to your outdoor space. 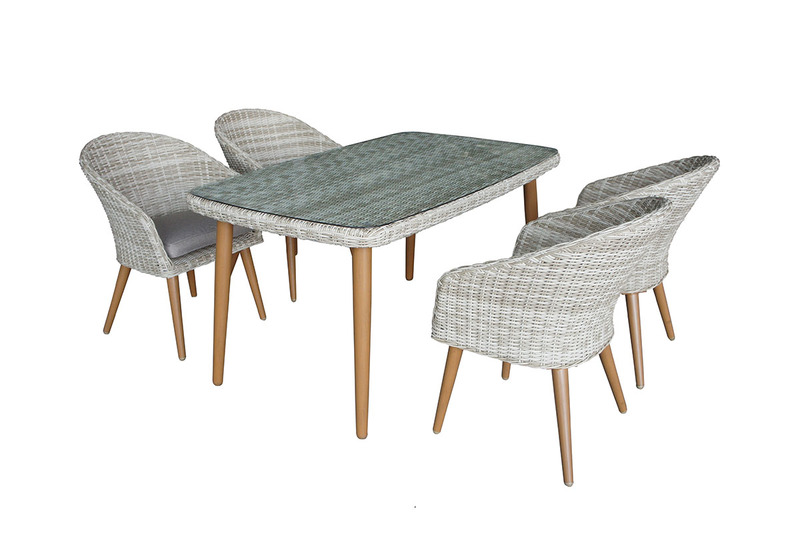 Its natural rattan-effect finish and taupe cushions come together to create a furniture set that will breathe waves of freshness into your garden. Durable and easy to maintain, this fabulous set will create a spectacular focal point of your garden. 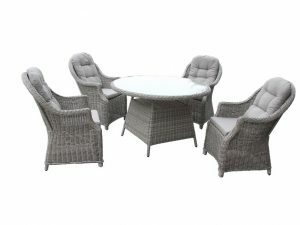 You’ll find it incredibly difficult resist relaxing outdoors with this fantastic set. 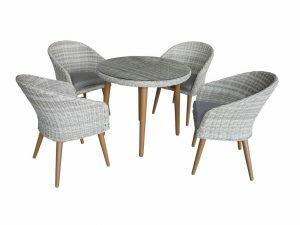 * Best quality rattan, No maintenance needed, Aluminium Frame and Rust Resistant.